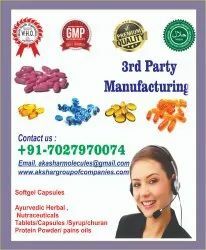 Started our operation in 2016, we, Akshar molecules group of companies, with 3 Manufacturing plants Medicant Nutrients < Real Care Herbal , Akshar Molecules are Manufacturer of Softgel Capsule, Nutraceutical Softgel, Nutraceutical Capsules, Herbal capsules Syrup Tablets Malts Nutraceutical Sachets, Nutraceutical Tablets, Nutraceutical Syrup, etc. 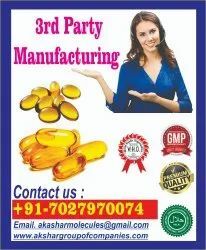 We also Provide Third Party Manufacturing Service. Utilizing the latest technology machines for the formulation, we keep providing the most suitable drugs to our customers. 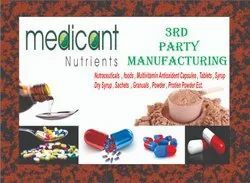 To formulate the latest and convenient medicine for our customers, we are equipped with a sufficient infrastructure. We have divided our infrastructure into various units to ensure all the processes take place in a smooth way. 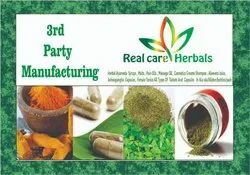 At our manufacturing unit, we utilize the updated technology to formulate the offered medicine as per the industry set norms. 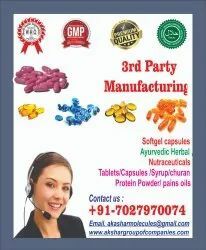 After being formulated, these medicines undergo various quality checks to ensure an effective range for the customers. 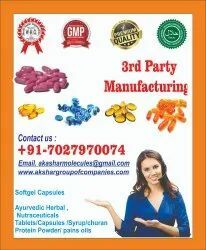 For providing the most suitable medicine consistently, we have been able to cater a huge clientele.